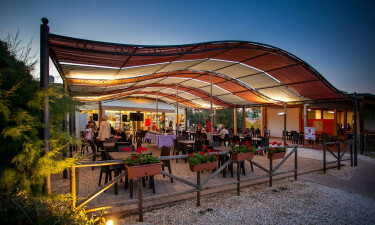 There can't be many places in the world that are as beautiful as Tuscany, and this luxury camping site is located right in the heart of this stunning area. With a mixture of sandy beaches, vineyards, rolling hills and pine forests, this campsite is surrounded by nature and is only a few miles from a handful of pretty historic towns. This family-friendly site is the perfect base for the camping holiday of a lifetime, so book your stay today through LuxCamp. 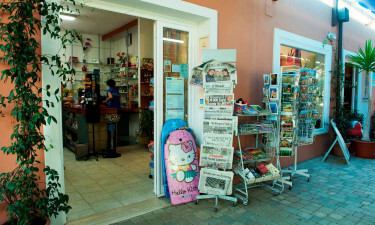 This wonderful campsite has everything you need to make your holiday run smoothly, from a bar and grocery shop, to an on-site hairdresser. The site offers both daytime and evening entertainment for both children and adults, for a memorable luxury camping experience. With a comfortable mobile home offering peace and serenity, you can also spend time doing plenty of fun activities. 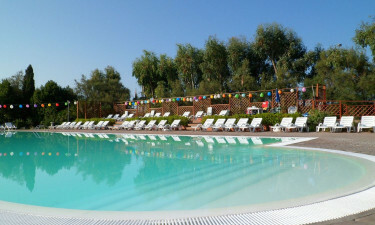 Tamerici has two pools for relaxing and swimming, with parasols and loungers. There is a large 25-metre pool for adults, with a smaller pool for children to play in safely. The beach is just a short walk away, under 300 meters from the campsite. It offers a clean expanse of sand with a lovely vista.